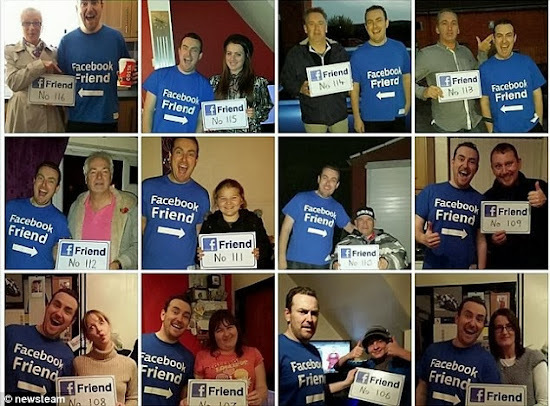 A youth worker has set himself the challenge of meeting 730 of his Facebook friends in one year, despite many of them living overseas. 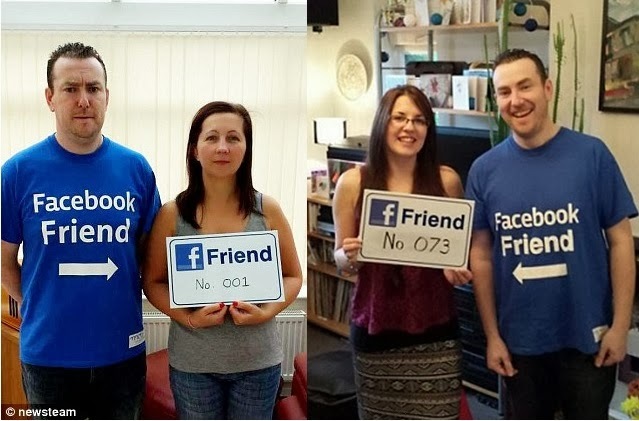 Daniel Shaw, vowed to meet each of his virtual friends in August, and will have to encounter two per day if he wants to reach his goal. The 38-year-old from Stoke-on-Trent, Staffordshire, was coaxed into accepting the challenge when his cousin bet him he hadn't met all the people on his friends' list in real life. Starting with his wife, Emma, who volunteered to be the first name he could tick off the list, Mr Shaw has visited Birmingham and Manchester and met up with 129 people. Though he has tried to restrict the list to local friends, the youth worker will eventually be forced to venture further afield to complete the challenge, with friends living as far away as Japan and Australia. 'I've started with my local friends first, and I met one in Birmingham last week, but I'll soon have to book some time off work to travel around and meet others. 'There's one or two people I know in Devon and I've got a cousin in Germany, but hopefully they'll be able to come here, otherwise it might start to get very expensive. The popular youth worker in fact has 1,103 friends on the social networking website but only has to meet 730 of them in order to win the bet. If he doesn't manage to, he has vowed to grow a beard for Movember next year to raise awareness for testicular cancer. Mr Shaw is campaigning for people to sponsor his challenge in aid of the Motor Neurone Disease Association, a condition suffered by his wife's stepfather. Mrs Shaw said: 'I think it's an absolutely crazy idea, and I have noticed that the petrol expenses have been going up in recent months since he started it, but it's brilliant that Dan's doing such a lot of fundraising.